RFID technology continues to merge into a variety of miraculous experiments around the globe. 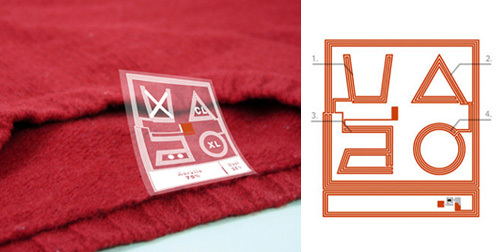 The latest concept uses RFID tags to communicate to washing and drying machines how individual articles of clothing should be treated. The objective is to avoid laundry dilemmas. Named ClothTAG, the concept could be cute, but may also create an entire new generation of overly-tech-dependent hipsters. I can safely say I'm against this. It is not that hard to read a label and do the bloody wash. Nor are washing machines that complicated. That having been said, I hate ironing and have found newer and newer ways of sucking at it, so I'm a total hypocrite. I can't say whether I'm for or against this. I was taught how to iron dress-up gear when I was 7 and how to wash my own clothing when I was 8. So that meant that I spent a lot of my college life laughing at the other guys (and some girls) who didn't know how to wash their expensive, trendy clothing and had it last about 6-8 months before it started to look shabby. I suppose it's just as well since I guess most other people phase things out of their wardrobe after 8-12 months.